C++ Institute is recognized as the world’s leading organization offering a high-stakes C and C++ certification program, allowing candidates to test at thousands of accessible and secure Pearson VUE testing centers worldwide. C++ Institute is committed to the development of a global standard in C and C++ certification, which will allow programming specialists, software developers and IT professionals from all over the world to assess and document their programming skills objectively and to gain recognition for their expertise. In 2012, C++ Institute and Pearson VUE, the leader in computer-based testing, established cooperation for the exclusive delivery of a certification program created for the C and C++ programming languages. On the foundations of this cooperation, C++ Institute and Pearson VUE began to provide the first globally available C and C++ testing and certification program. C++ Institute and Pearson VUE are committed to providing the whole IT community with test and certification programs of the highest quality. We are proud to offer professional certifications designed to provide industry recognition of your knowledge, skills and proficiency in C and C++ programming. C++ Institute has built two paths of testing and certification. The first path covers the C++ programming language and the second the C programming language. Each programming path offers two levels of qualification: associate, and professional. 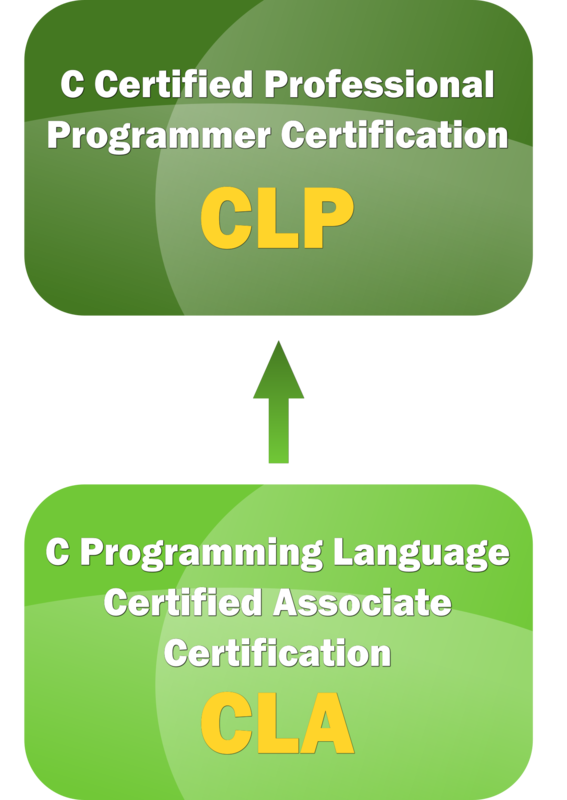 The holder of a certificate at the associate level possesses knowledge of the basics of programming in the C (CLA) or C++ (CPA) language, and demonstrates fundamental programming techniques, customs, vocabulary and the most common library functions. The CLA and CPA certification will not only help you gain confidence in the knowledge that you possess fundamental C or C++ skills, but it will also give you a chance to stand out in the job market. It will let you complement your education and will give you a head start on preparing for and advancing to the professional level. The holder of a certificate at the advanced level possesses knowledge of advanced programming in the C (CLP) or C++ (CPP) language, and demonstrates advanced programming techniques, customs, and vocabulary as well as advanced library functions. He or she is capable of using and creating complex algorithms and is able to deal with complex coding problems. 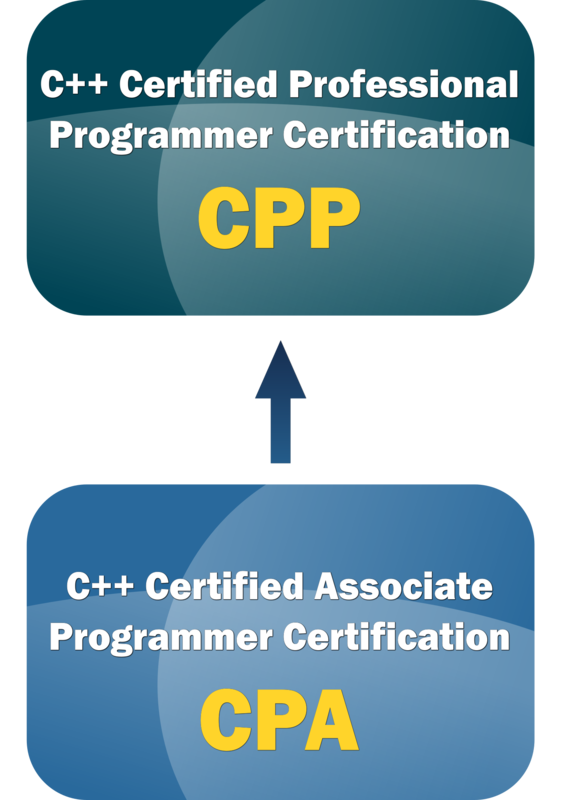 The CLP and CPP certification shows that you are passionate about C and C++. It proves that you take your career development seriously and it lets you stand out with a globally-recognized credential. Professional certification reflects your wide programming skills and experience.